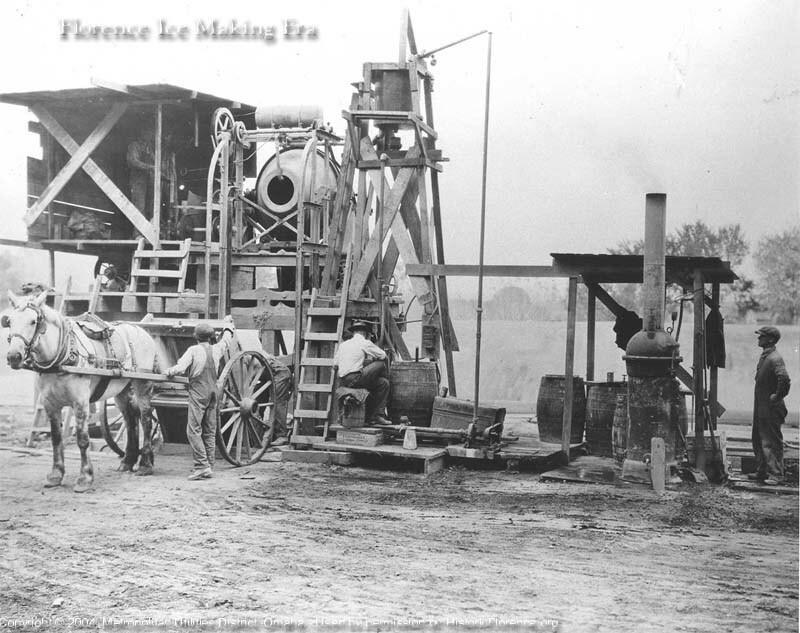 The Florence Water Works maintained its own cement mixer used for construction of coal pits, basin repair, etc., in the early 1900s. How many people do you see? Can you find all six people in this photo?